Figure 1: (a) A dispersed populati on of large polygonal cells with abundant cytoplasm and well-defined borders. Occasional binucleation and multi nucleation is noted. 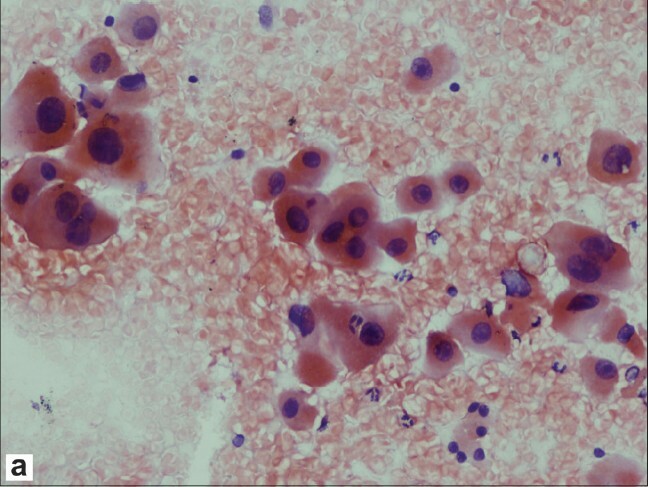 Few benign hepatocytes are also seen in the lower right of the field. [ Papanicolaou, x 100] original magnification.